Sublative rejuvenation smooths out the lines of time, giving you a more youthful appearance. 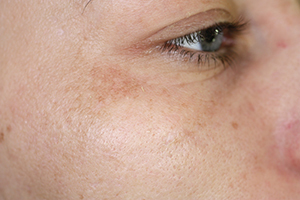 This laser technology has been shown to work well on mild to moderate wrinkles, red and brown spots, and textural irregularities. This is truly the next generation of safe and effective skin rejuvenation. 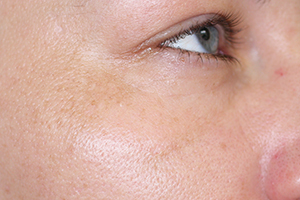 How does sublative skin rejuvenation work? RF energy is precisely directed to the skin in the form of a matrix. Healthy skin around the dots accelerates the healing process of the skin. After your treatment, new collagen and healthy skin cells are produced. Mild to moderate wrinkles become less, and the texture of your skin becomes more elastic and smoother. Is sublative skin rejuvenation suitable for me? This treatment suits most skin types. Most people will require three treatments, spaced four to six weeks apart. The number required depends on your skin’s original condition. Does sublative skin rejuvenation hurt? Many patients will feel a warm prickly sensation as the laser energy enters their skin. After treatment a pink or red mark may show. Topical anesthetic ointments and cooling may be used to reduce unpleasant feelings during treatment. Book your FREE initial consultation now by calling 0161 627 1114. "Refer a friend and both of you will receive £35 in credits..find out more click here.."